While many birds are harmless, there’s a wide variety of birds that can cause damage to physical property when they inhabit suburban areas. 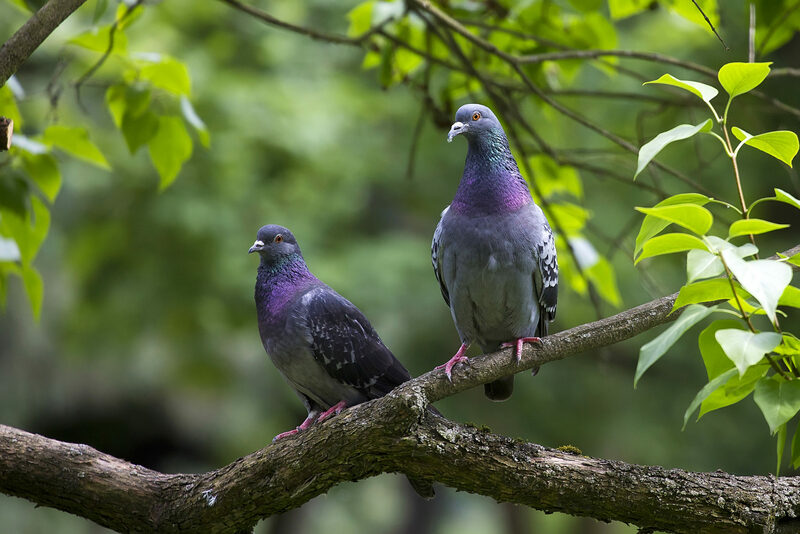 Some of the most common nuisance birds are black crows, sparrows, woodpeckers, waterfowls, and pigeons. Depending on the bird, they can disrupt your home or property via noise, droppings, strong odors, and feathers. They are also known to feast on vegetation and left-behind food, which can attract them to a variety of properties. Birds can enter a home in a number of ways including through the chimney, attic, vents, or windows and once inside, they can access just about any area of the house. They may build their nests in chimneys or vents which could cause problems with the HVAC system and their excessive droppings can create a health hazard within the home. Woodpeckers pose a unique problem because they can damage a home by pecking away at the wooden structures. Prevention is the best method of bird control and there are several methods that are effective for preventing bird infestations. The most common types of bird prevention are netting to block off certain plants and entry points and bird spikes or wire that discourage birds from roosting. If there are birds causing problems on your property, it is best to contact Groen’s Wildlife Control for bird removal services. The Migratory Bird Treaty Act of 1918 protects almost all bird species and makes it illegal to harm them without a permit from the U.S. Fish and Wildlife Service. Our licensed and certified technicians employ integrated pest management techniques to remove nuisance birds and apply exclusionary techniques to prevent future infestations. We also clean up feces and repair any damages caused by birds in your home. Do You Have A Nuisance Wildlife Problem We Can Help With? Contact us for a for a free quote today!